The Wieliczka Salt Mine is often considered as a great place for a side trip from Krakow. But being a huge part of Polish national heritage, Wieliczka deserves better. As a matter of fact, it could be the main purpose of the whole trip and this salt-mine-centered attitude wouldn’t be inadequate. Wieliczka is a small town situated in the Krakow metropolitan area. It’s famous for an ultra-deep Wieliczka Salt Mine, which was declared a UNESCO World Heritage Site in 1978. The mine has been in continuous operation for more than 700 years, which is an unique phenomenon on a global scale. Wieliczka guided tours include 22 chambers connected by galleries situated on the three upper levels of the mine (from 64 m to 135 m below the ground). 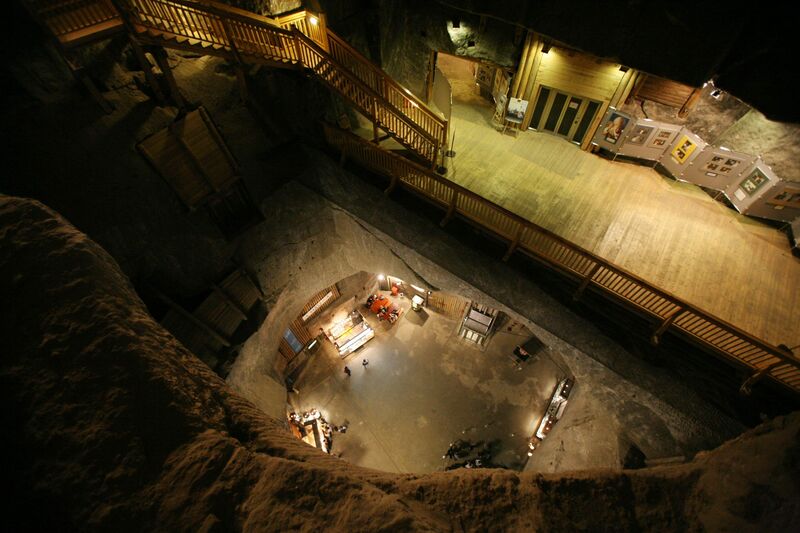 This section of the mine is considered as a museum and an underground sanatorium. There are several tour operators in Krakow, offering organised Wieliczka tours e.g SeeKrakow. They run buses to the mine and ensure all the bookings and admission fees. You can get to the mine on your own as well, just catch a bus number 304 departing near the shopping mall Galeria Krakowska or minivan departing from the Main Railway Station in Krakow and get off at the bus stop Wieliczka Kopalnia Soli. Another possibility is a train trip. The train departs from the Main Railway Station in Krakow (Dworzec Główny) and terminates at Wieliczka Rynek Kopalnia train station. You can get more informations about salt mine Krakow tours in the tourist offices in Krakow.